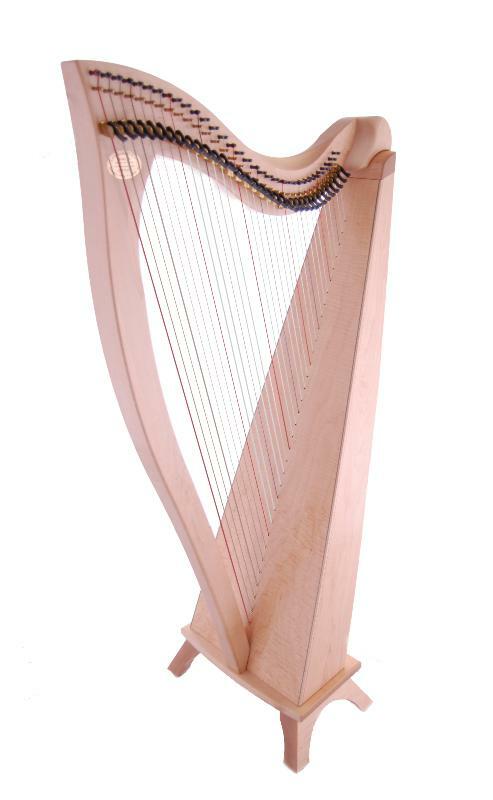 This new, all-solid-wood, 34 string lever harp delivers a bright, resonant and clear sound, along with easy portability and stunning appearance. 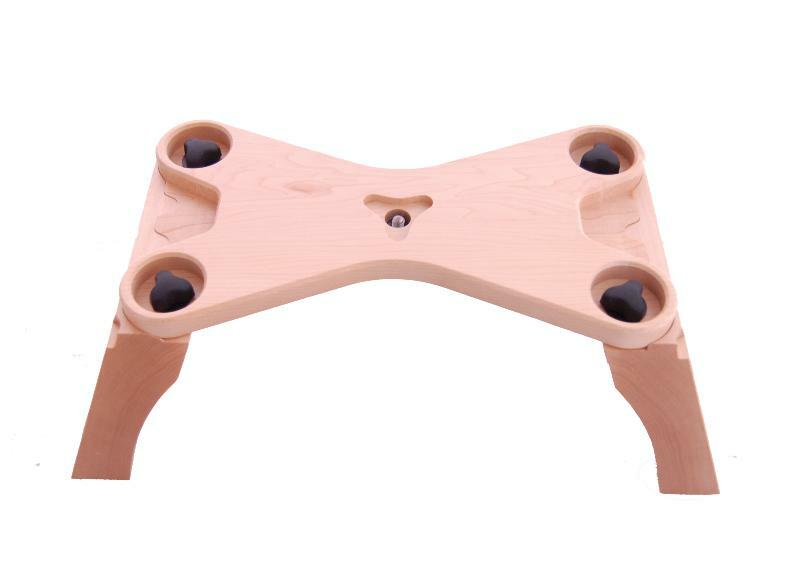 Maple wood is crisp and clean, very bright, focused and articulate. 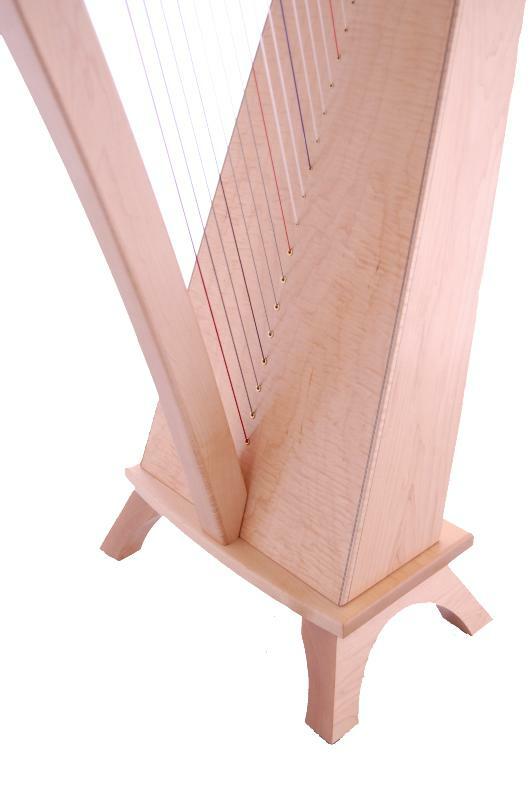 Like its cousin, the well loved FH36 harp, the FH34 satisfies both the professional and the beginner with its depth and power, and delights the eye with its committed craftsmanship and fine woodworking. A choice of five natural wood finishes offers the player subtle differences in appearance and tonal character. For playing comfort, Dusty Strings have added facets on the upper corners of the back. 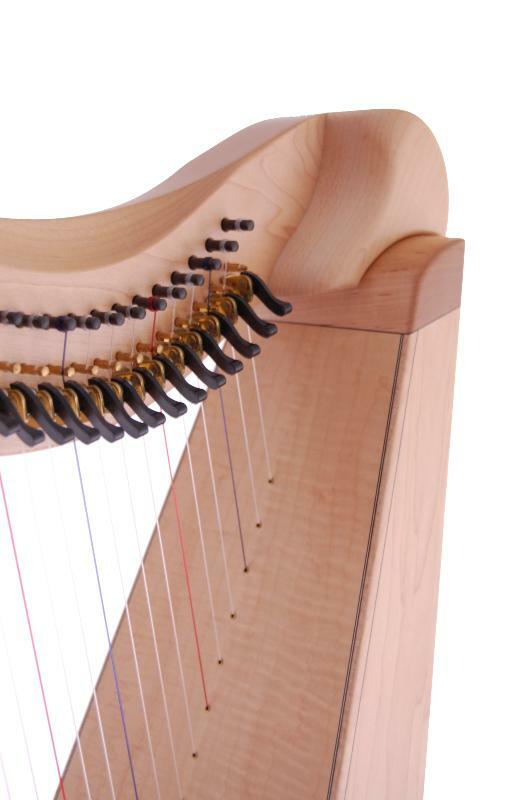 This hybrid-stave design avoids right-angled corners where the harp touches the player's arms and allows the player a longer and more comfortable reach. To keep the carrying size to a minimum, the FH34 includes an innovative stand. 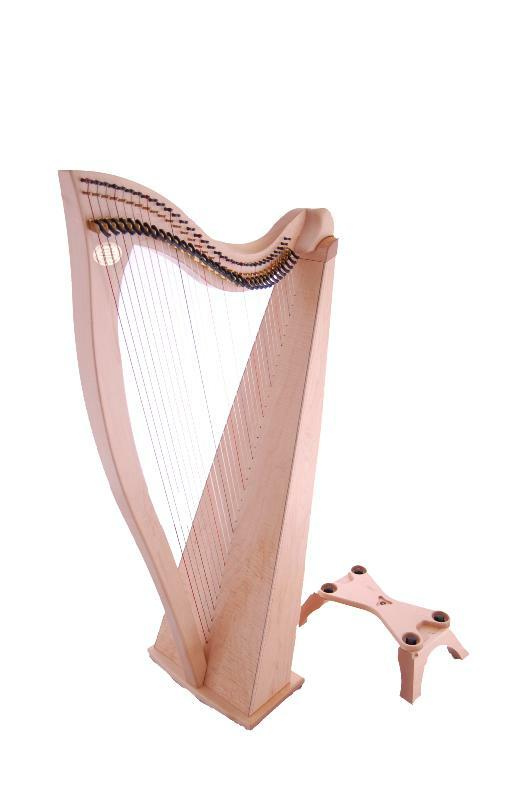 It has removable feet and nestles into the base of the harp, attaching in seconds with the twist of a knob and without needing to turn the harp upside down. For those who prefer a lower height, the harp balances beautifully on the ground without the stand. 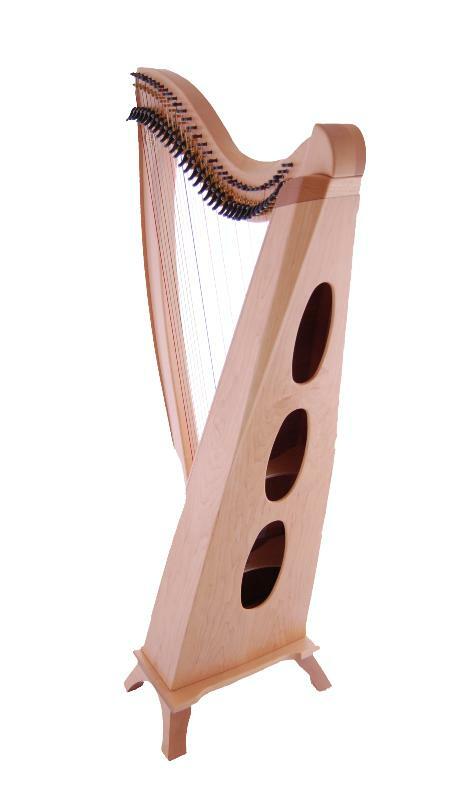 The FH34 delivers a superb combination of performance and portability in an elegant, comfortable and easy-to-manage harp.